After watching this I knew I needed to share this. May we all liberate each other in love. I hope I have half the impact that Maya Angelou has had on the world, and that I would love without boundaries, liberating and not holding anyone back from life. Thank you Maya, may you rest in peace. 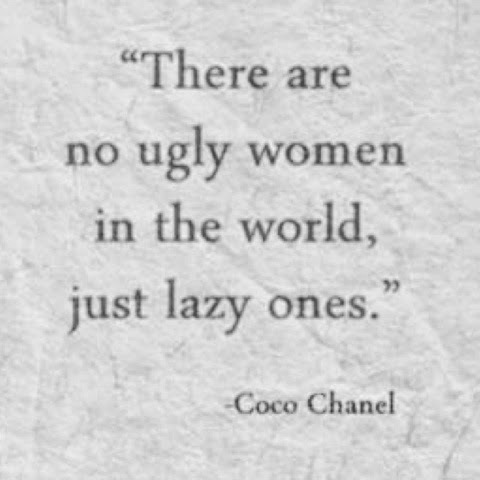 Stumbled across this quote last night whilst blog hopping. Hey! Hope you have all had a productive start to the week and have a chance to have some tea and cake in your break time, or indulge in something relaxing and special to de stress. Yesterday I decided to go for a very casual chic outfit. I decided to pair my favourite shorts with a grey top and a cropped cardigan. It’s the kind of outfit that I really enjoy wearing on hot days. I think that the shorts add a chicness to the outfit because of the cute tie around belt and the structure that they have. I bought them a few years ago and I have a patterned pair. There was also a brown suede pair in my size that I absolutely adored, but never bought. boo!! I’m attempting to update my blog daily so stay tuned for more outfit posts in the future. Sorry for the lack of makeup, but I only decided to put makeup on later on in the evening before going out. 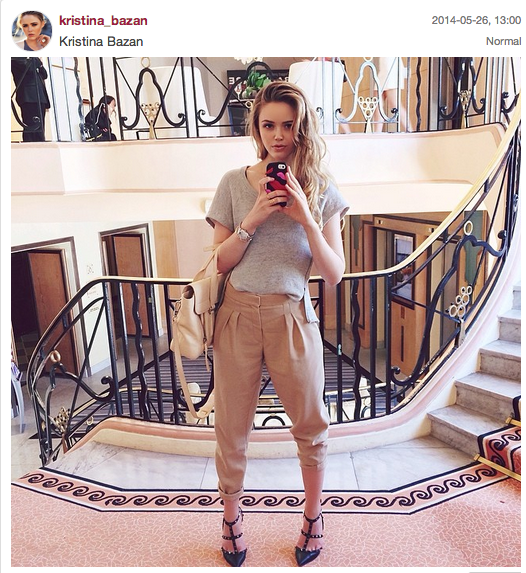 I was wearing a matching outfit with one of my favourite bloggers Kristina Bazan!! Matching colour way for the win, great minds think alike 😉 Need to get myself some pretty Valentino heels though! 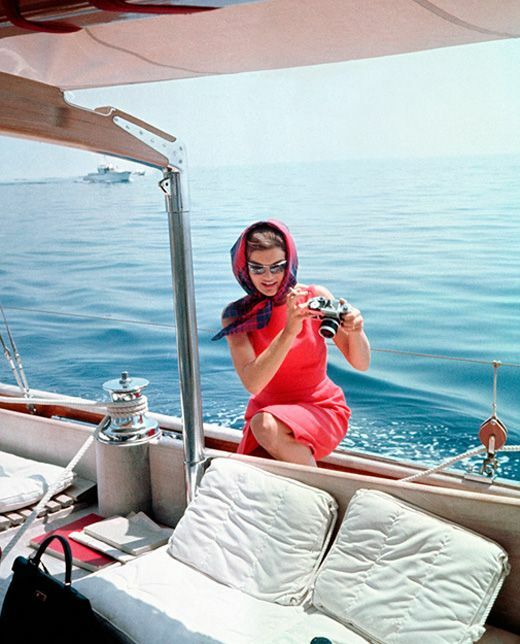 swoon..
Today I wanted to share some classic summer styles to keep you inspired to be as chic as possible this summer. 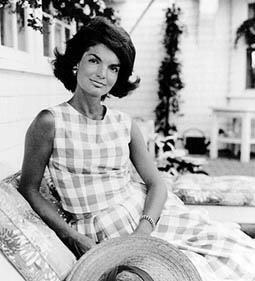 I recently went to a hotel for a weekend stay and saw all these ladies that just looked really classy in their swimwear and big floppy hats. I always feel a bit out of place as I’m not always sure how to style myself by the beach. 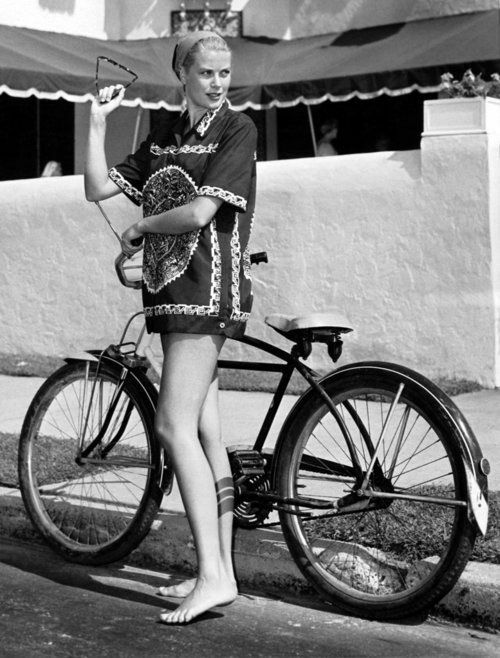 I usually go for a pair of denim shorts and a tank top, or a patterned playsuit over my bikini. I’m not all that creative when it comes to beach dressing for some reason. I had a straw hat for like two minutes before it disappeared from my sight a few years ago. 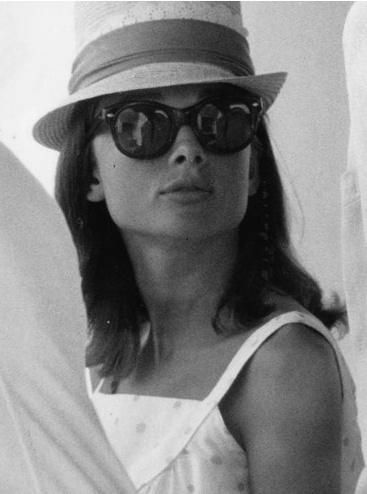 Therefore, this post is to inspire you the reader but also myself, to take more risks and take notes from some of the world’s classic fashion icons. I hope this helps! 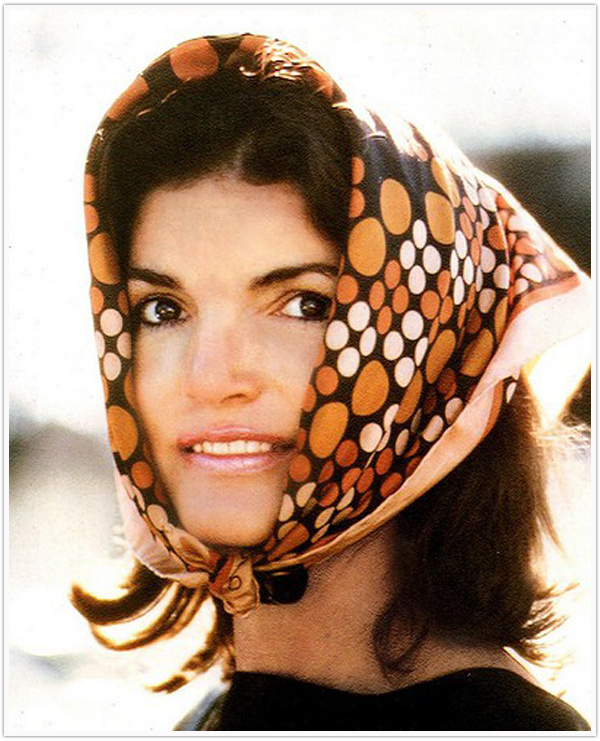 A lot of these are Jackie Kennedy, who is such a fashion icon and who seemed to look flawless when on holiday. And I added Diana and Grace because we all love a Princess on holiday! 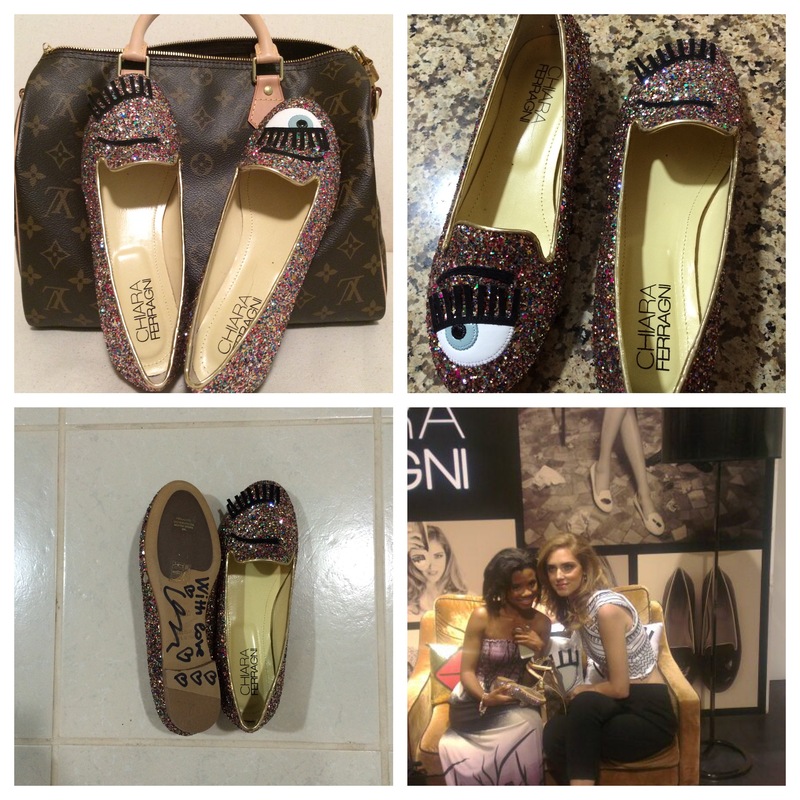 Chiara Ferragni from The Blonde Salad came to Dubai last week(12th-15th)! How cool is that?! This was her third time in the Emirate and she came especially for the Chanel show and to launch her shoe line exclusive to Level Shoe District in Dubai Mall. It was a really special occasion because Chiara had her event on my Birthday! It was such a treat and really a dream come true because I’ve wanted to meet her for years now. I have been a loyal follower of her blog and instagram account and see her as my biggest fashion inspiration. So on the evening of my birthday I drove to Dubai Mall to go to this super swish event in the middle of Level Shoe District. I was quite amazed by the whole situation because there was red rope, security and exclusive assistants to help you pick put your special pair of Chiara Ferragni Shoes. There were baby sized pasta, sweets decorated especially for the event and even a nail station to have your nails match your brand new shoes. 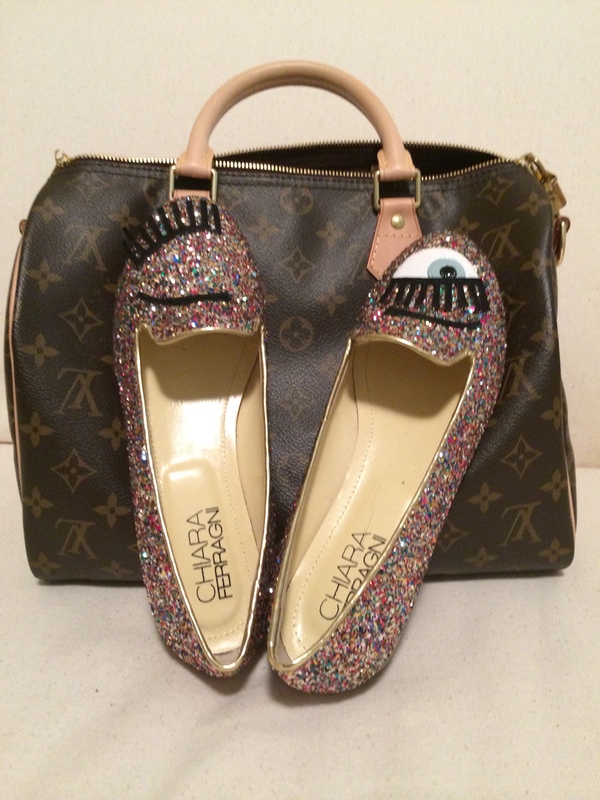 I bought a pair of Chiara Ferragni Blinking Glitter flats and I was so excited. It was so chic and the service was amazing, they made me feel so special. The most important part of the event was actually meeting Chiara, she is so sweet and beautiful and kind. She signed my shoes and gave me a hug. It was such a pleasure and I will keep it in my memories forever! Don’t forget to dream big! Best Birthday ever! I will definitely do an updated post on how I styled these babies.